I've looked at the photographs really carefully. The name Jonah is simply not there. It's really ridiculous. They are etchings that are part of the amphora. There are no letters. I am not an epigrapher myself and so have to defer to experts like Rollston, but I would add that what he says here strikes me as self-evidently the case. There are so many lines in question here that one could make them spell all sorts of things. I might just as plausibly see YONAH written in the lines on the palm of my hand. But there is another issue relating to this "breaking news" item. In order to get "YONAH" spelt out in the "head" of the "fish", the "letters" have to be distinguished from "the stick figure". 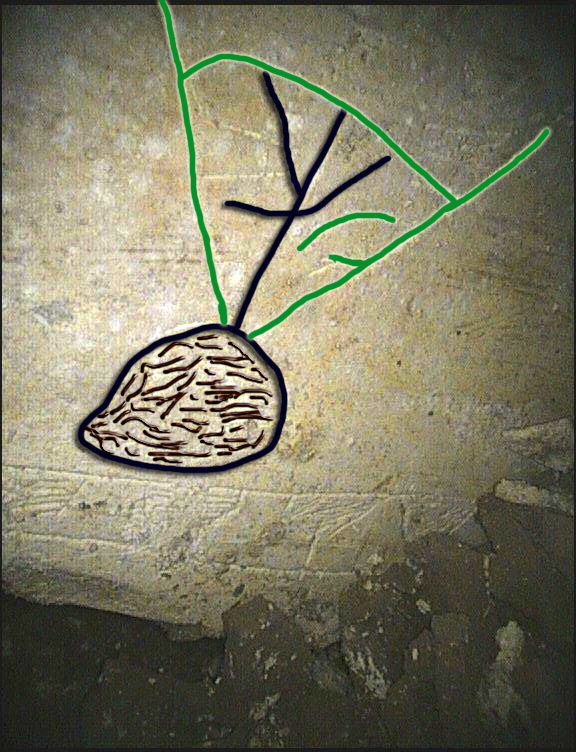 In James Tabor's post on the topic, he shows three pictures, the first a photograph, the second a coloured inking-in of the "stick figure" and the third a coloured-inking in of "YONAH". Here again you see the stick man in black, with a large spherical head, a body and arms and legs. Now compare and contrast the two versions. Different lines are now being used for the man's arms and legs! In the new version, he looks a bit more like a three-legged man with one arm. 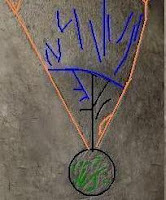 Now the non-connecting left arm is no longer part of the man, and a new front right leg has been added, oddly enough also part of what James Tabor and James Charlesworth claim also to be the letter Hey (H), seen in blue on the original image. If it is so difficult to decide which of the random lines constitute the "stick figure" of Jonah, it is surely time to acknowledge that this is not a stick figure at all, not of Jonah, not of anyone else, still less a "stick figure . . . ingeniously made into the name as well" (Tabor). This might be the weakest element in the story so far, a story that is already beset with problems. I may have to revise my Top Ten. Thanks again to Stephen Goranson for pointing this out. For more on the problems over the attempt to read "YONAH" in the head of the vessel, see Jim Davila on Paleojudaica, Antonio Lombatti and Robert Cargill (who finds Yo Yo Ma!). Update (20.45): See now two excellent posts on the topic from Steve Caruso, "Yonah" ON the Ossuary? - No. Simply: No. and Jonah Inscription Problems & Other "Possibilities". Update (17 May): See now Jason Staples, Stick Man Jonah More Unprecedented Than Previously Realized (includes comments from Simcha Jacobovici). The problem is Mark, epigrapher or not, these marks could not be made into anything. You say you go with Chris but even the likes of Haggai Misgave and others are clear on the Heh and the Vav, disputed are the Nun/Lamed and the Yod/Zeta. I see you and Bob are having lots of fun jesting at this but I think it is whistling in the dark. We did not "change" the stick figure. It is there, as it always has been, but if you look at my posts we have never been clear as to how the three lines of the HEH fit in--I mention this on my blog--calling it a strange "F" image, not sure what it is. 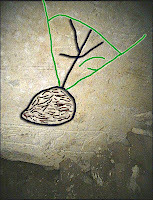 The stick figure is there, as is the eye of the fish and the four letters, but precisely which are what is open to discussion and I posted this new alternative that takes the leg of the Heh, which is absolutely clear, as maybe part of the figure. "(who finds Yo Yo Ma!)." Also after examining all of the images of the inscription available from different light angles, the "line" that comprises "Nun/Lamed" is actually disjunct which would make it unlikely to be either letter at all. Is is just me, or does Dr. Tabor's stick man look like one of Dali's melting clocks? Yes Steve, zayin! Been reading Greek too long yesterday, had a class in Philo! Actually the "nun" is not disjunct. I thought that too but it is definitely connected. You are the Aramaic guy, right, do you see any letters here at all? Just curious. Do the lines in the "fish" head spell out Jonah? Was Ossuary 2 in Talpiot Tomb B moved?